Michael attended the NCCCC scholarship breakfast at Grassmere Country Club. He got to hear Kara Wolters speak about hard work and its rewards. 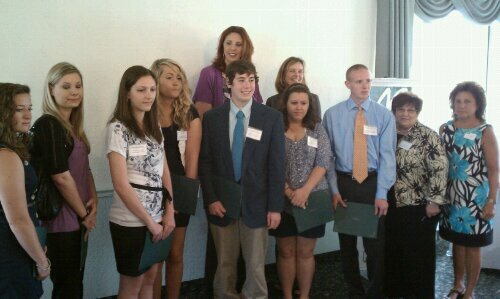 Shown above are Kara Wolters, Sandy Zukowski, Kim Trudeau and the scholarship recipients.